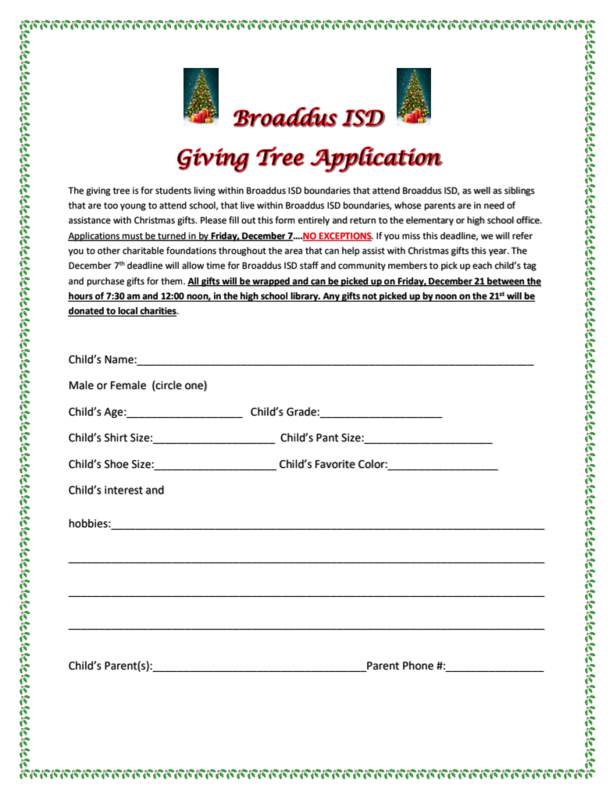 Applications for the BISD Giving Tree will be taken until Dec. 7 (NO EXCEPTIONS) and gifts must be picked up on Friday, Dec 21 by noon. Gifts not picked up will be sent to local charities. Application is below. If you need a paper application, those will be available Monday, Nov. 26 and can be picked up at the elementary or high school office. The BISD Giving Tree is for families that are in need and need assistance with Christmas gifts this year. Copyright © Broaddus ISD 2019. All rights reserved.